To create a new era of computer operating system, Microsoft has made remarkable efforts to Windows 10, which comes with elegant interface and special design, catering to majority of users' requirements. As more users take advantage of Windows 10, the need of recording Windows 10 screen to keep a live show, capture video calls, grab game music, etc, came out. What is note-worthy is that having an easy-to-operate screen recorder for recording Windows 10 screen will bring you tremendous facility. In the light of practicality as well as operability, we provide you with two best worry-free solutions to record screen activities in Windows 10 with high quality. 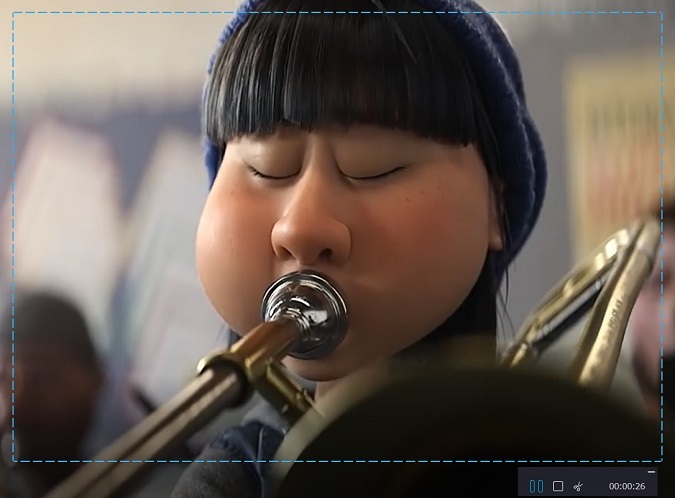 Functioning as a Windows 10 screen recorder as well as any other desktop on-screen activities capture, Joyoshare Screen Recorder is designed with a wide variety of recording options, aiming at creating professional capturing atmosphere for users, with which any video and audio in Windows 10 can be grabbed in finest quality. Alternatively, it enables you to make steaming music recording, creating game tutorial, record Facebook video calls and download movies from Netflix, etc. In case of that you require a recording tool with both video features and audio options, here comes Joyoshare Screen Recorder. 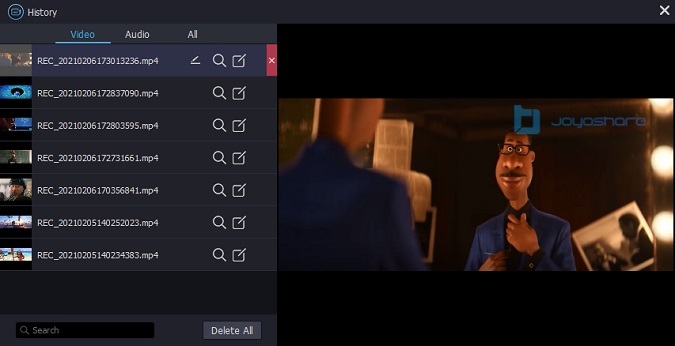 For one thing, it enables you to save any screen video in Windows 10 to different formats, like MOV, MKV, HD MP4, AVI, WMV, FLV, SWF, and more. For another, any kind of audio tracks, for instance, online radio, streaming music, system sound, etc, can captured alone and output to MP3, AAC, WAV, FLAC, M4A and M4B. 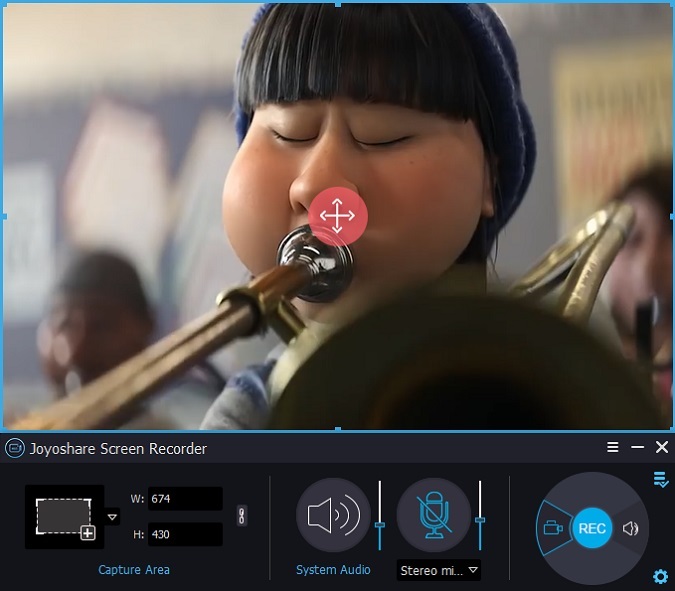 Specially, Joyoshare Screen Recorder is capable of selecting recording area freely, making a scheduled capturing task specifically, customizing recording options flexibly, etc. Anyway, the more you try, the more you discover. Enter Joyoshare.com to find Joyoshare Screen Recorder, an official recording tool, from which you can have a free trial first. It will only cost few seconds to finish installation. 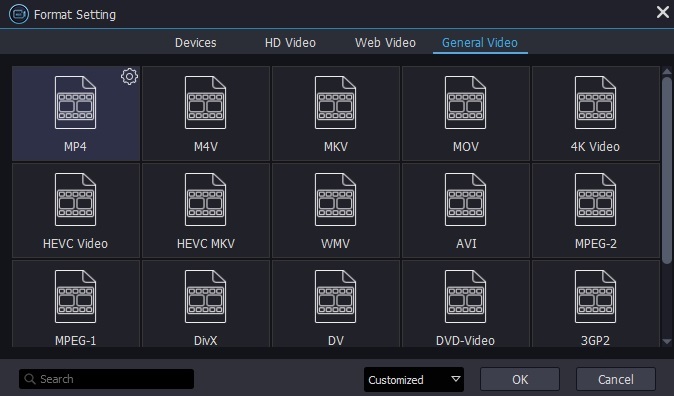 Joyoshare Screen Recorder will make capturing area selecting at will possible. No matter which method you want to choose, it can satisfy your need. There will be a pop-up window, once you simply click the "+" button in main interface. Then you can drag the edge of the window to make adjustment and set desirable capturing area. Additionally, a preset standard ratio and customized size can be chosen as well. 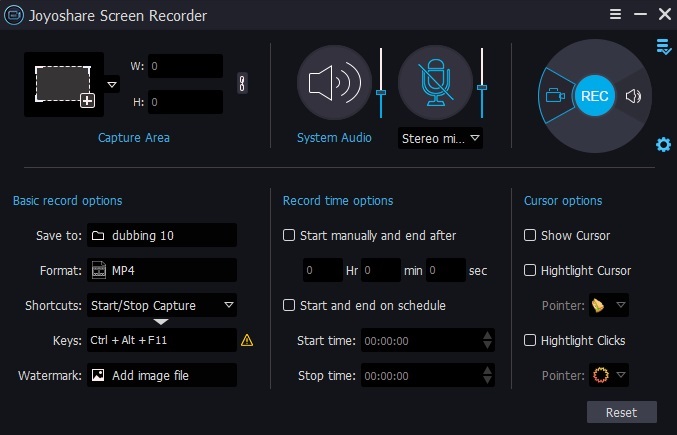 Considering that you may have an idea to remove unexpected intervention during recording process for Windows 10, Joyoshare Screen Recorder is well developed to close microphone voice or system sound with the purpose of avoiding noise completely. Furthermore, it also includes full support for capturing any video and audio in Windows 10 screen simultaneously. Note: Joyoshare Screen Recorder can act as an independent audio recorder. When you need this function, click the audio icon on the top right of main interface. To record any activities in Windows 10 screen, Joyoshare Screen Recorder is supportable for choosing recording area, creating a task by presetting capturing start time and end time, highlighting click movements, picking up favorable output format from systematic settings, etc. Press the red button "REC" to start a recording in Windows 10 and "Stop" icon to end the capturing process. You are entitled to trim video, take screenshot and use shortcuts. Joyoshare Screen Recorder let you preview, rename or correct ID tags information of your recording in "History" list. If your trim your video during the previous recoding process, you will see different segments here. The second way to record Windows 10 screen is to draw support from Windows system's native screen recording utility, called Xbox DVR, which is designed to capture gameplay mainly as well as any type of screen activities in Windows 10. Given that Xbox DVR is a built-in app, which is to say, it is convenient and safe enough, so you may prefer to use it. However, the demerits are that it comes without rich functions as other dedicated screen capturing tools have and offers inability to record Windows 10 desktop. Undoubtedly, not all users notice this hidden feature. Here if you have mood in enjoying Xbox DVR, you can follow the instruction to make use of it. First user who never utilizes Xbox DVR app has to open it to set it up. Go for Start menu > All apps > Xbox. Upon you finish set Xbox DVR up, hit keyboard shortcut "Win key + G" to open any Game bar. If it is your first time to do it, there will be a pop-up window showing a question "Do you want to open Game bar?" Click "Yes, this is a game". Note that although it is not a game, Xbox DVR will perform with any program in Windows 10, in which Internet browser also evolved. Click the red button, meaning "REC", to start a windows 10 screen capturing. Remember that only app window can be recorded, without including either Windows 10 full name or mouse movements. Once the recording is completed, open up the Game bar by using Win key + G and click the red stop button. You can go straight to the Game bar or Start menu to open the Xbox app, from which you can see recorded Windows 10 screen video clip. Open the Game bar menu on the left of Xbox app Windows to edit your recording, which will allow you to rename and trim destination file. Of course, systematic settings are permitted, such as recording max length, game default and so on.